MacCurdy House put on their production of MMRP, and I was a proud mama even though I hadn't actually done anything but sign the form for supplies and such. I love my young feminists a little more than I love all my students. 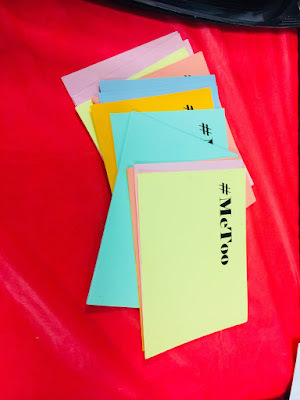 The #MeToo cards are going up all around campus later this month.